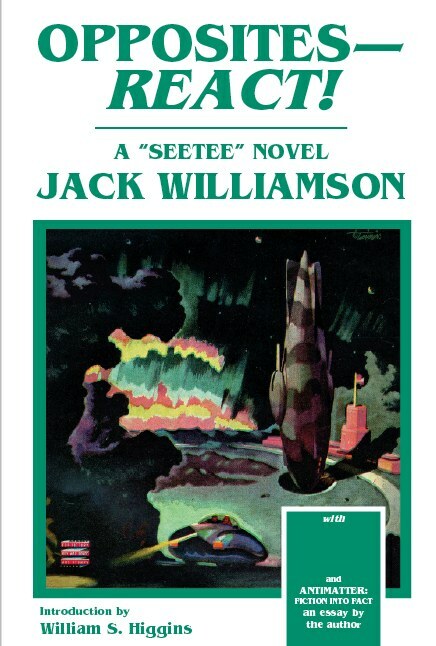 The Worlds of Jack Williamson celebrates the 100th birthday of one of the Grand Masters of science fiction. While Jack Williamson passed away in 2006 at the age of 98, his incredible body of work continues to be enjoyed by legions of fans and admirers. Assembled in this centennial tribute are several unpublished stories: “The Moon Bird,” “The Forbidden Window,” “The Golden Glass,” and a film treatment from 1957, “The Planets are Calling.” Also included are several classics in the Williamson canon such as the original novella-length version of Darker Than You Think; ”Minus Sign,” an unreprinted seetee story of anti-matter and terraforming; and a tale with the first use of psionics, “The Man from Outside.” Contemporary stories include “The Hole in the World,” “Afterlife,” and “The Luck of the Legion,” the last Legion of Space adventure. Included are four essays from academics and scholars who have studied Williamson s works, as well as Dr. Williamson s 1957 Master’s Thesis, “A Study of the Sense of Prophecy in Modern Science Fiction.” Fellow Grand Masters of science fiction Frederik Pohl and James Gunn provide introductory remarks on reading, knowing, collaborating with, and admiring Jack Williamson. Contributor Vicky L. Medley signed the heading to her contribution, "Queens of Space," prior to her passing in 2008. Opposites--React! An exclusive 150+ page chapbook collecting the never-reprinted two-part serial novel of "seetee" (aka antimatter) adventure, "Opposites--React!" (from Astounding Science-Fiction, Jan & Feb 1943) with an 18-page arc of Williamson's 1950s newspaper comic-strip BEYOND MARS; a 1988 esay by Williamson on antimatter, and an honest-to-god atom-smasher from Fermi Laboratories (and sf-enthusiast) -- William S. Higgins -- provides the introduction documenting the early use of antimatter in speculative fiction. This chapbook is also. The Man From Somewhere. This 2006 chapbook from Richard Hauptmann's Cacahuete Press reprints Williamson's novella from 2003. 300 copies were produced for sale. Now out-of-print, this chapbook, signed by Jack Williamson, is also included. 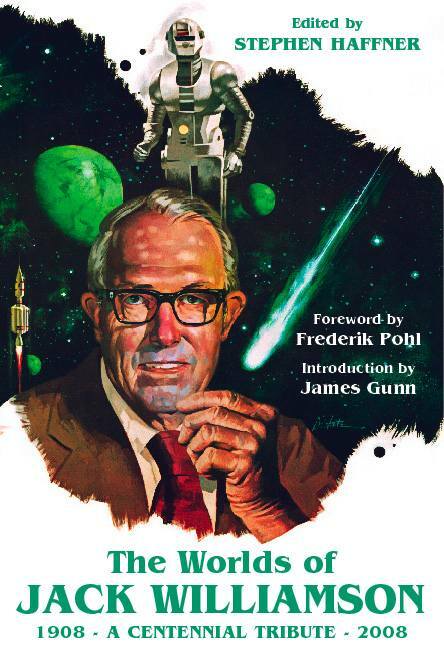 Haffner Press' THE WORLDS OF JACK WILLIAMSON is a massive, handsomely made book that is a centennial tribute to the writer Arthur C. Clarke put on a level with both Isaac Asimov and Robert Heinlein. The book is also a tribute to science fiction and fantasy as well, because by the time he passed away at age 98 in 2006, Williamson’s history was the field’s history. He did everything from the Gernsbackian “scientifiction” of the 1930s to comic strips to juveniles to adult novels that set standards for decades to come. Here you’ll find one of his swashbuckling “Legion of Space” tales; “Afterlife,” an example of his more thoughtful and elegant work; and, my favorite, the short novel version of “Darker Than You Think,” a stunning dark fantasy later turned into the novel of the same name – one that’s as strange and compelling as it was back in the 1940s. With essays on aspects of Williamson’s work, and appreciations by Fredrik Pohl and James Gunn, this book is a graduate course in the history of science fiction. And a great read as well. Several unpublished stories, several classics from the man, and several essays on his life's work.